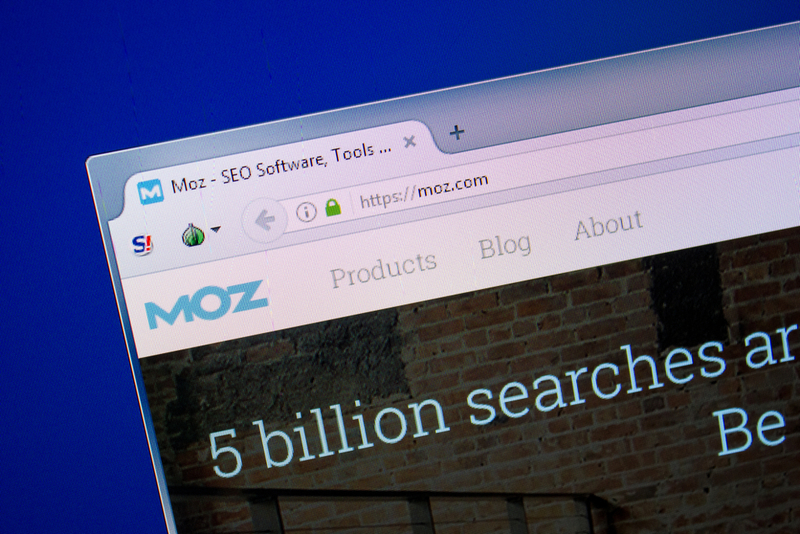 Moz is Changing How it Scores Domain Authority. Here’s What It Means For You. Moz, one of the leading search engine optimization software companies, announced a major change to one of their most highly-valued metric sets, this week and it could change your strategy dramatically. The metric in question is Domain Authority score. For those of you that don’t already use it, Domain Authority, or DA, is a predictive measure from Moz of your website’s ability to rank in search results. It evaluates multiple factors from your domain’s inbound links, and uses that data to assign a “Authority” score from 0-100. A higher score indicates that your domain is viewed as highly authoritative in search engines and is more likely to outrank competitors with lower DA. Why is Domain Authority Important to Know? A website’s Domain Authority score allows marketers to gauge the strength of their websites relative to their competitors, and use that insight to make data-driven decisions around keywords, link building opportunities, and other strategies that may need to be prioritized. Since so many marketers and SEO professionals rely on Domain Authority to evaluate the health of their website, the announcement of a change to the core algorithm of Moz’s tool certainly threw many marketers through a loop. Read on to find out what’s changing in the tool, what the expected improvements will be, and how you can expect your score to be altered. So, What’s Changing (and Why)? The changes to the Domain Authority tool are composed of several technical updates to the way it collects and calculates data that influences a website’s final score. 1. Training Set - Improvements have been made to the data sets that Domain Authority learns from, in other words, the data it uses to evaluate and change over time. Now, it’s more reliable, and can better understand sites that don’t rank for any keywords at all. 2. Training Algorithm - Moz is moving from a complex linear model to a neural network, which offers several benefits including a much more nuanced model which can detect link manipulation. This article on the Moz blog dives into these changes further. 3. Model Factors - The factors that Domain Authority evaluated when determining a ranking score have been improved upon. The updated tool has factored in Spam Score and link quality patterns, giving you a much more accurate idea of your site’s overall authority. 4. Index - Moz now has an index of 35 trillion links, giving the tool much more statistically significant information to evaluate your website against. Essentially, Domain Authority 2.0 will have more link data, fresher link data, and better ways to evaluate that link data, all in an effort to give you a more accurate and reliable authority score. After its launch on March 5th, users can expect their Domain Authority score to more closely align with how search engines order page results. This enables marketers to stay on top of Google’s algorithm updates, and, in turn, make smarter, data-driven SEO decisions. Some scores may be lower or higher than they previously were - but if you do notice any changes, make sure to keep this launch data in mind so you’re not falsely attributing fluctuations to be a direct result of your marketing efforts. The good news is that Moz is updating historical data as well, so marketers will still be able to measure linear progress over-time. Now, while it’s exciting to see how your website’s score might change, don’t forget to look at your competitors and industry leaders as well! Take a look at their scores and see how they’ve fluctuated, and by how much. Keeping your eye on these numbers will help you know what you’re up against or even scope out opportunities for guest blogging.